Natsumi, Mr.Ohmae and I went to the supermarket to prepare for today’s exchange session. At 3 pm , we started preparation. Cooking rice, cutting cucumbers and raw fishes. 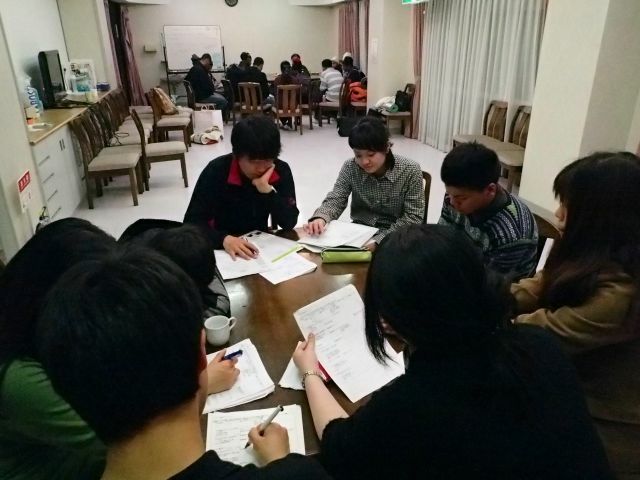 At 5:30pm, Yapese and host families gathered at Shiozawa Seminar House. The session was held with many local foods. 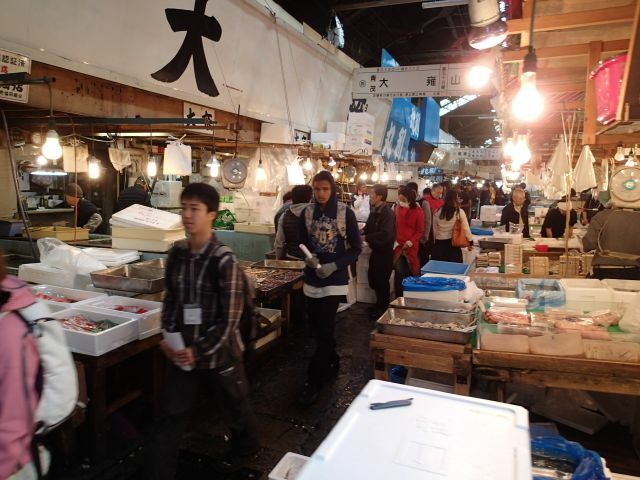 For example, they gave us yellow pickles(Takuan) , sermon, boiled plants(Zenmai), etc. We ate Temaki-sushi. At the session, Tina met the family who hosted her 16 years ago. The host mother and father came to the session to meet her. They looked so happy and I was impressed. Mr. Nozawa, who is a photographer, showed us a picture show. It included pictures of Yap and Japan! I haven’t been to Yap , but want to go there. Because all the pictures were beautiful. After that, Yapese and Japanese had a meeting each. Yapese finished at 11pm. Chaperones and young staff finished around 12 am. Actually, I was sleepy, but it was very good to talk about many things. 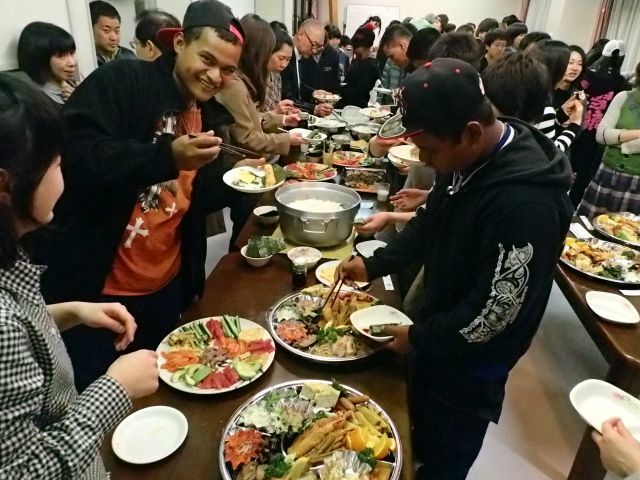 During corporate visits, students took lunch in an open cafeteria in central business area, Yurakucho. On the way back to the hostel, they experienced to take a ride on subway. From 6 p.m. we have dinner together. Deep fried fish, cooked chicken, salad, soup and rice. Nothing similar to food in Yap, students finished dishes quickly. 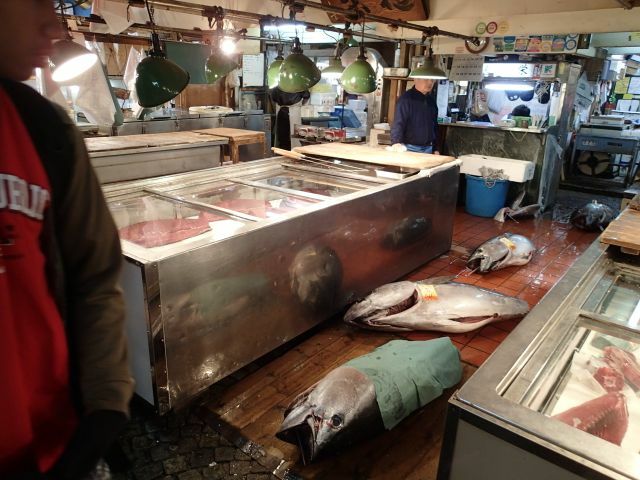 Tomorrow, we will go to the fish market in TSUKIJI area from 7 a.m. so students went back to their rooms after finishing reflection session. 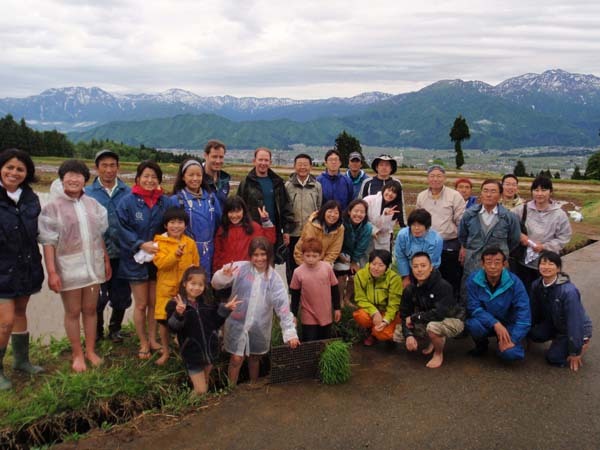 20 people enjoyed the culture and life in Tochikubo at the ABC in a rice paddy program. 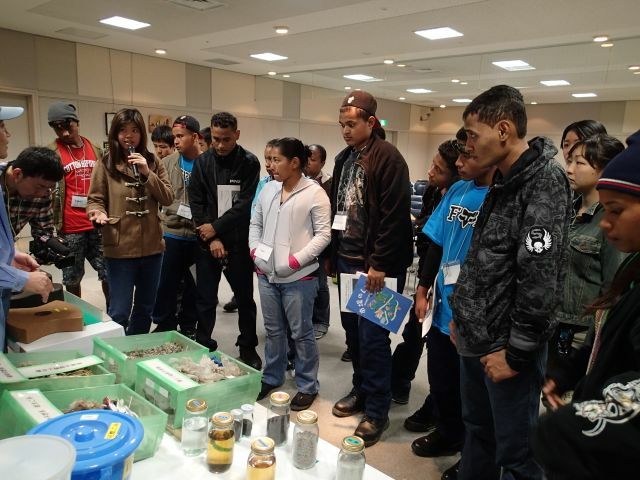 A total of 20 people, including company workers, students, and families from various countries,visited Tochikubo, Niigata Prefecture from Tokyo metropolitan area. 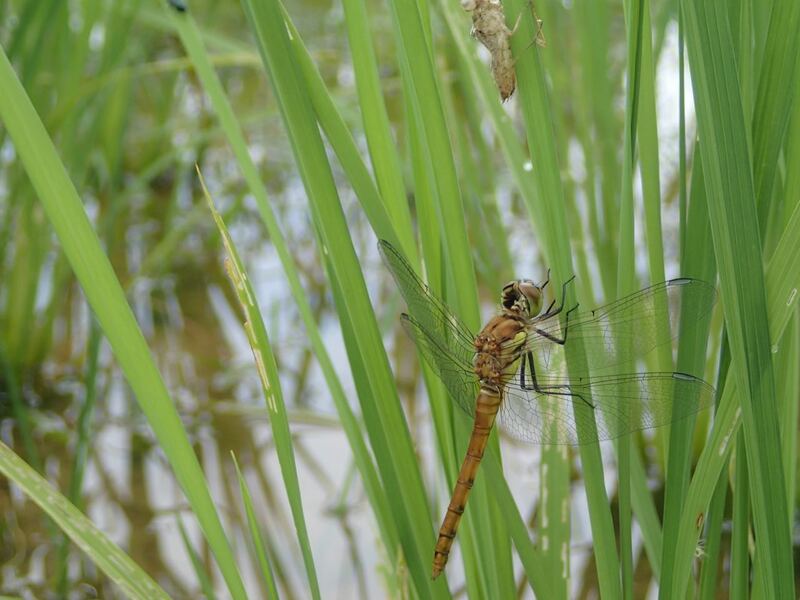 They enjoyed walking around the area and rice planting over the weekend. 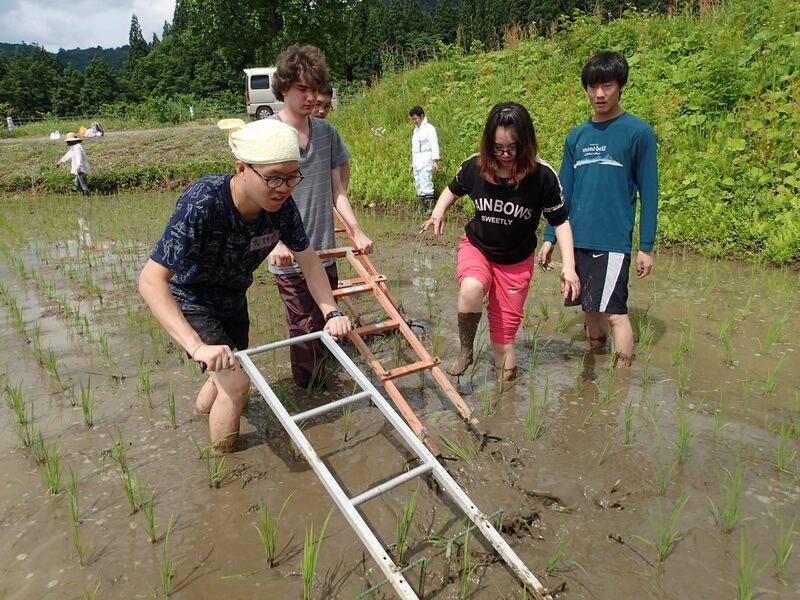 The holiday agricultural project, ABC in a rice paddy, was held on 21 and 22 of May. 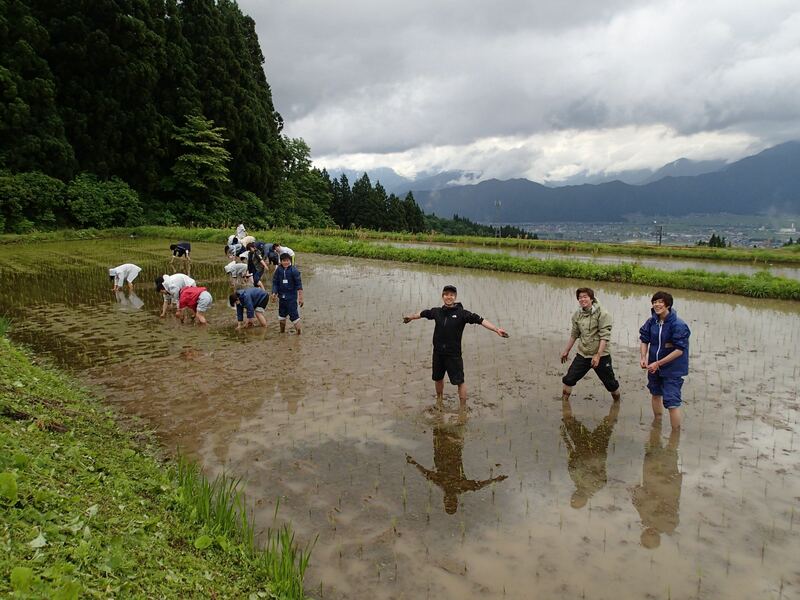 It is a series of programs throughout the year, and this time, the first occasion of the year, was about rice planting. 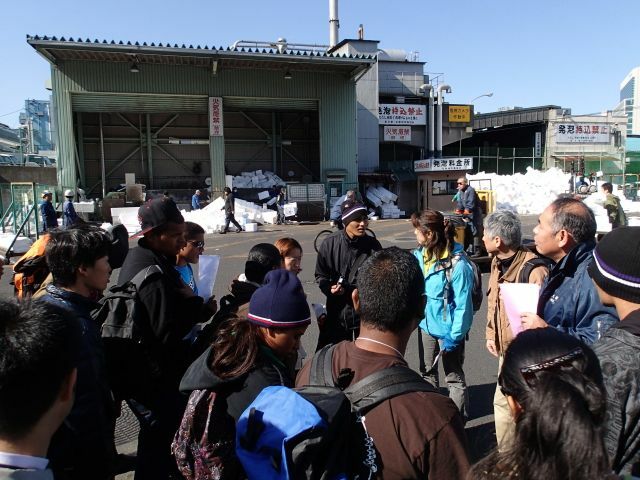 On the first day, participants went for a walk in Tochikubo area with a villager, FUEKI Akira. From the centre of village to the top of Mt Taru, 736m, they enjoyed encounters with varieties of mountain vegetables and some rare wildlife. Although it was summer-like hot, they managed to reach the peak and one participant said \”When I stood at the top and saw how far we have come, I felt that I had achieved something\”. 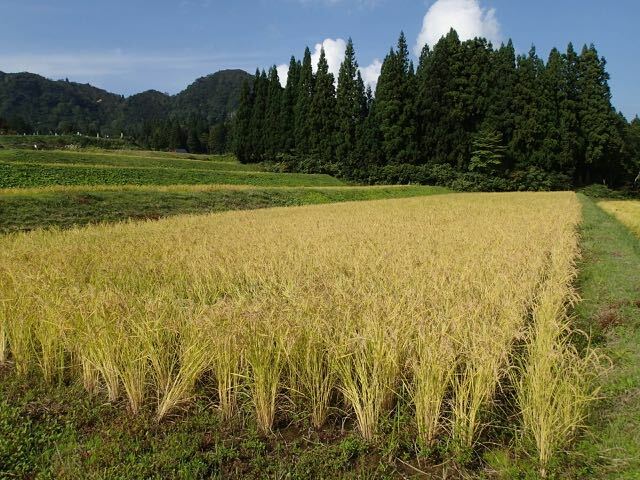 After coming back from the mountain, they had a lecture and learned about the different types of rice seedlings, process of rice farming without any chemicals and pesticides, history and current challenges of rice farming in Tochikubo. A snap from bird watching session in the early morning. Local children also joined it and enjoyed together. 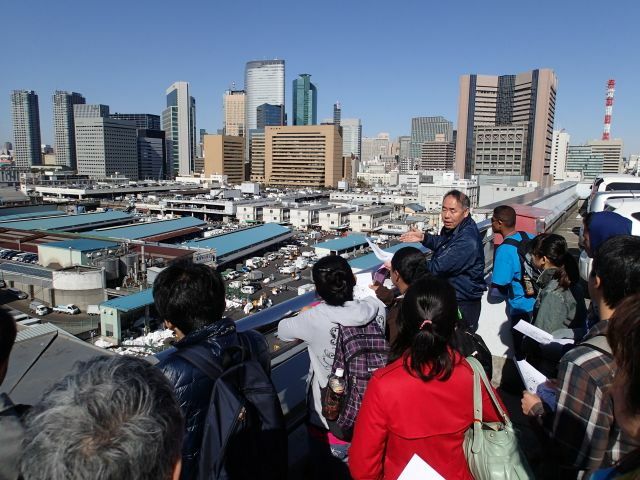 On the second day, early in the morning, most participants and some locals joined a bird watching session by FUKASAWA Kazuki. Despite of poor visibility due to mist and rain, his knowledge helped participants have a great time. At the very moment he talked about the sound of rare bird species, Akashobin (ruddy kingfisher), participants actually heard it. 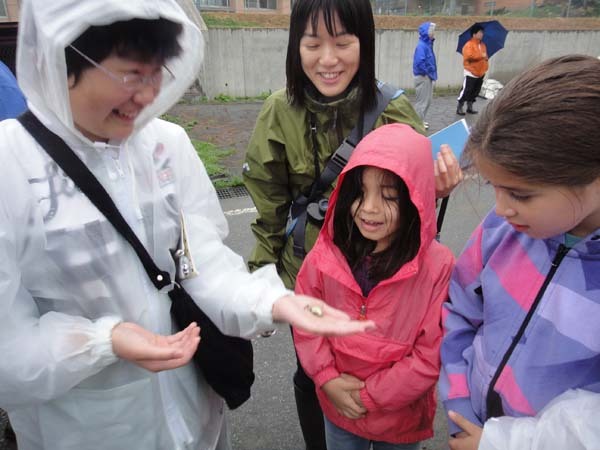 Whenever someone or Fukasawa found wildlife such as frogs, salamanders, and insects in the water, he provided an instant lecture about the features and ecosystem of them. 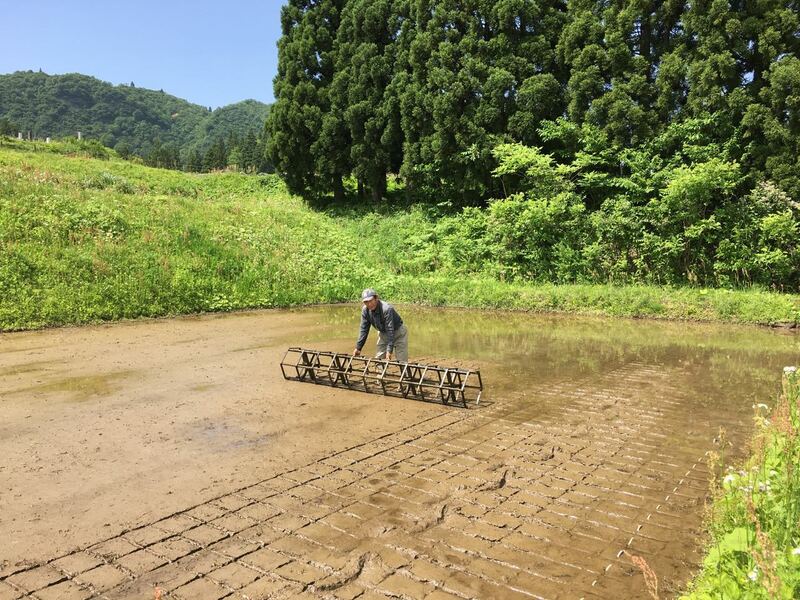 Rice planting began, having waited for the rain to calm down. It was well-supported by locals as participants learned a traditional way to band rice plants with straws, and planted them. They went into a rice paddy together with baskets filled with bunches of rice seedlings. After rice planting. People from various countries participated in the program. At lunch time, a group formed by local women called \”Kaachanz\” (Team-mothers) served miso soup with lots of local vegetables and dried fish. Everyone appreciated the soup as it warmed up their cold body from inside. Many people went into the kitchen to have the second of the miso soup. Participants continued planting rice in the afternoon, and managed to finish the whole paddy around 2:30. They got a compliment from a local person on how straight they could plant. Thanks to the knowledge and skills of local people, ABC in a rice paddy in 2011 has been kicked off!